Sadly, not Tokyo, Japan. Tokyo, the pattern from Tessuti! I love the kimono jackets that are fashionable at the moment, and I spent all of the southern hemisphere winter lusting after the amazing summer versions I kept seeing popping up on everyones blogs. I promised myself I would make myself one for our summer! 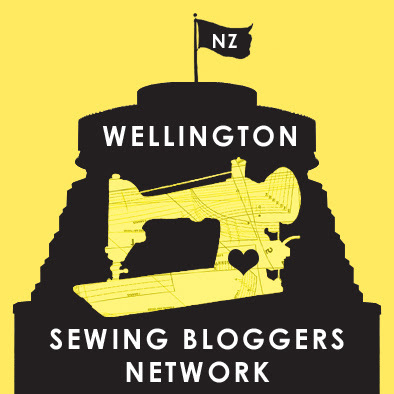 Unfortunately, summer in Wellington is somewhat unpredictable, and a light silky jacket would get next to no wear. I really wanted a lightweight wool crepe, or a medium weight rayon crepe or something similar, but I just couldn’t find the fabric I wanted. 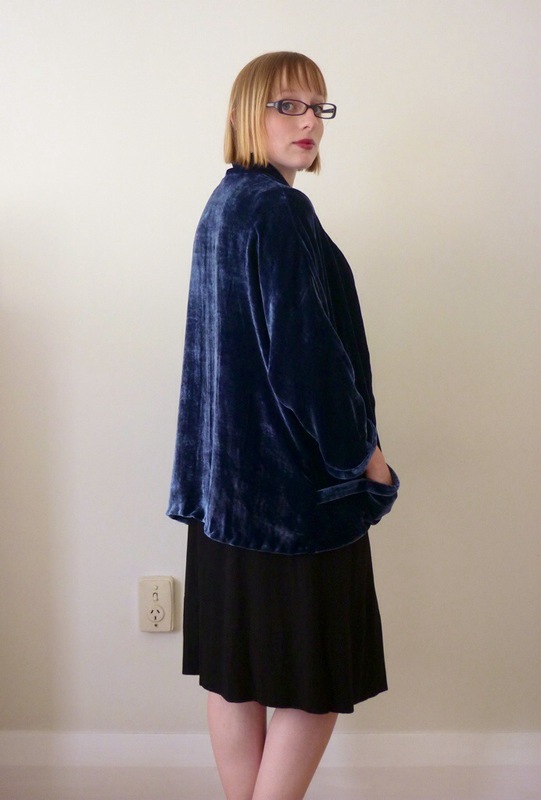 Then, this month, I kept seeing beautiful festive dresses being made up in velvet. 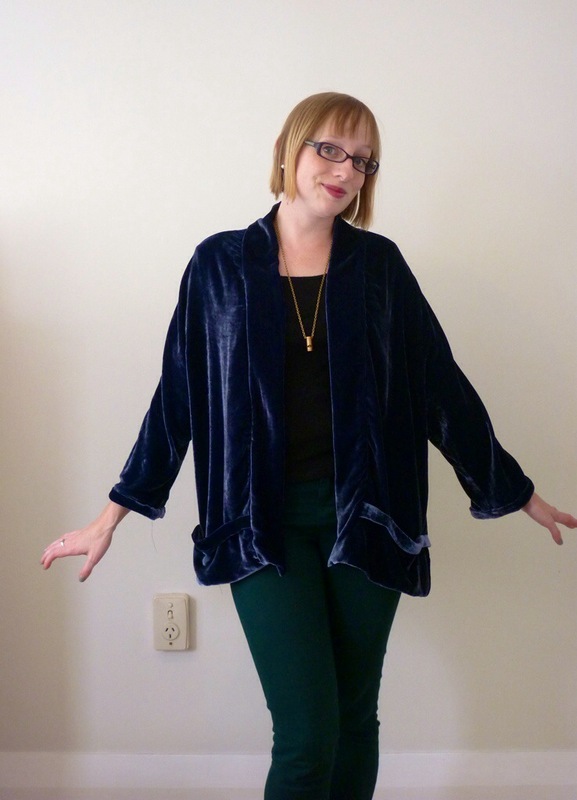 Suddenly, all I could think of was a silk velvet Tokyo, preferably in a rich, jewel tone like forest green or goldenrod yellow. Now in hindsight, this is the point when I really should have taken a step back and examined my mental state, because I had clearly lost the plot. But my head was too full of dizzying mental images of me swanning around a glamorous New Years Eve party in my yellow velvet jacket, drinking gin and generally doing my best Zelda Fitzgerald impression. The only snag was that I couldn’t find yellow velvet anywhere. 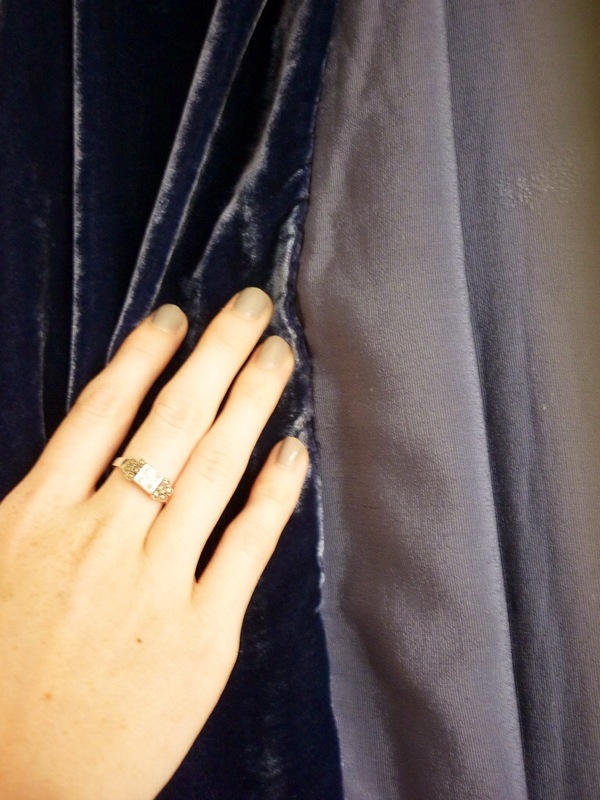 I should have stopped then, but instead I bought this lovely deep purple/blue silk velvet from The Fabric Store. 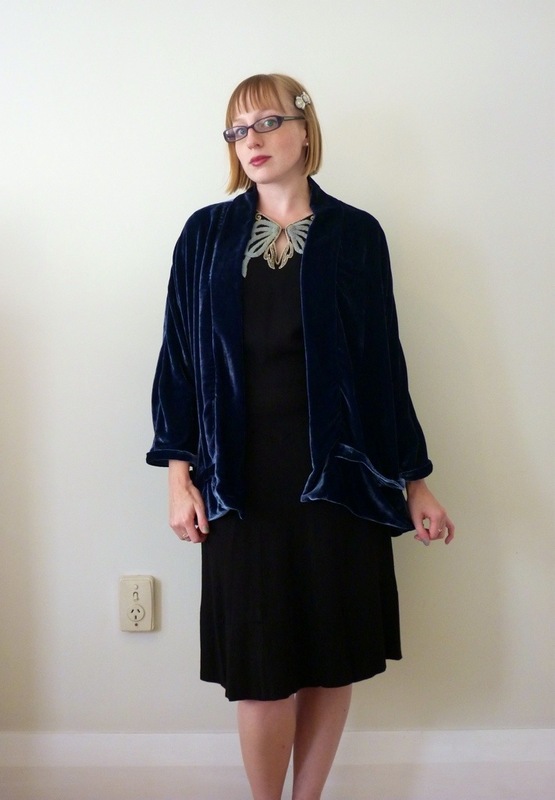 Still drunk on the idea of all of the 1920’s glamour that would soon be mine, I took it home and started to cut the Tokyo jacket out of it. This was the point when the first few doubts began to trickle into my mind. Turns out silk velvet is just as shifty and slippery and tricky as normal silk, but with the added difficulty of having a nap. I cut everything out in a single layer with the nap running down the jacket, and hoped that things hadn’t shifted too far off grain. Turns out, the cutting out was the easy part! I must have used every single one of my pins trying to put the pocket bags and bands onto the jacket fronts, and they still slid around all over the place. I wanted to cry, or hurl it out of the window. I really wanted to jam it back into the bag and stick it in the corner. The dream was well and truly over by this point! Instead I unpicked and restitched and unpicked and restitched until I reached the point where I decided it was good enough. The side seams and shoulder seams were easier to sew, though just as pin heavy, but the neckband gave me similar issues. I hand stitched the neckband to the inside, as the idea of topstitching made me feel physically ill, and did the same for the hem. – If you have to iron it (which I did, because it had been crushed on the bolt), fold it in half with the fuzzy sides together, and iron in the direction of the nap. Use lots of steam, and minimal pressure. I found that I was mostly just steaming mine, and it came up fine, no crushing of the pile. For the seam allowances I used lots of steam and very light pressure, moving the iron in the direction of the nap. – Use all of your pins, or baste things together, because velvet is shifty and not to be trusted. – Velvet dust will trigger your hayfever, beware! So there we go, my last post for the year and the garment which concludes my 52 week creative challenge. I wish it was a winner, but never mind! I’m still unbelievably proud of myself for achieving the goal I set for myself this time last year. And I’m pretty damn proud of nearly everything I’ve made this year, so thats a win, over all. I’ll be back tomorrow with my last Top 5 Post, and with a some number crunching from 2014. Hope you all have a good New Years Eve, whatever you have planned! 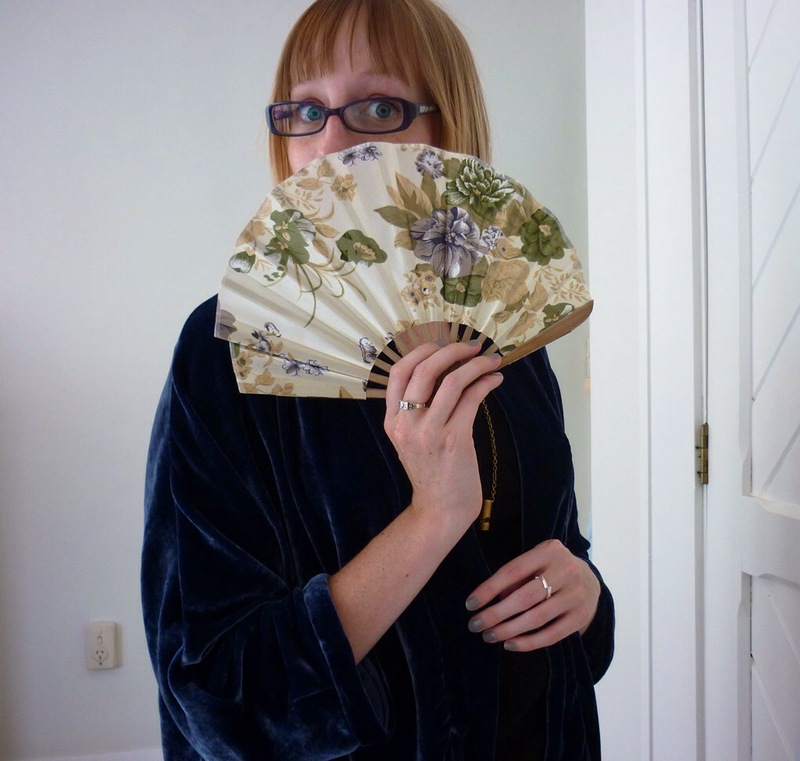 It does go beautifully with the lovely fan I was given for Christmas, and with the marcasite art deco cocktail ring I was given by Monsieur, I was very lucky this Christmas! Thanks 🙂 Maybe I just need to play around with mixing it into my wardrobe a bit more! I personally love the way this looks and see no signs of wizard-like style. I think it would be so fantastic for a night at the opera or ballet, if that’s your cup of tea. I hope you can warm up to it! Thanks Bella! I was originally thinking it would be good to wear to the theatre or something, so I’m glad you think so too. Maybe I just need some distance from it, when I’ve forgotten how difficult it was to sew I might decide I love it! 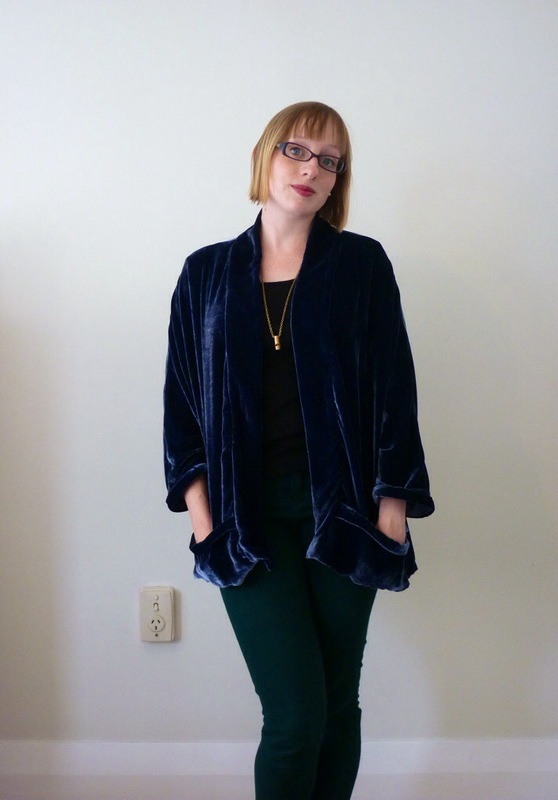 The velvet really is so pretty. I’m sorry it didn’t live up to your expectations! Your ring is beautiful!!! Lady you are fearless and that’s one of my favourites things about your blog! I’m sorry your velvet dreams didn’t come through as expected. I think wear it about the house – really that’s the ultimate glamour! Haha, I’m not sure if its fearlessness or blissful ignorance, but I’ll take the complement, thank you!